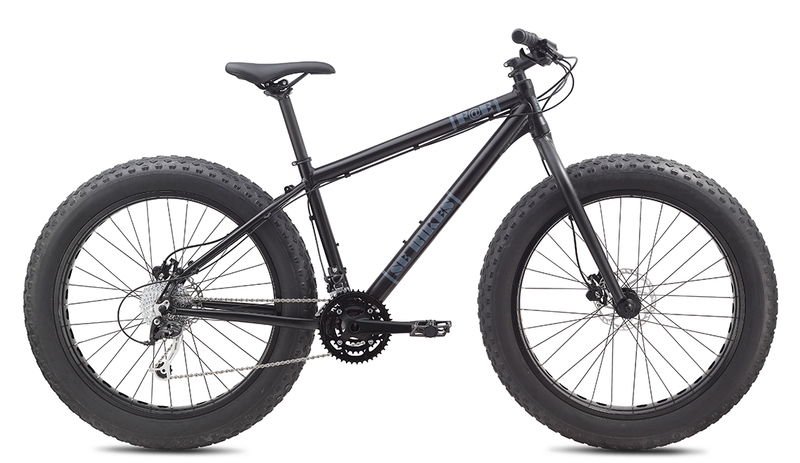 Ride through winter snow or desert sand like a boss with this monster truck of bikes. New for 2015, the frame is built around a tapered 1.5" headset and fork in front and a beefy 197mm thru-axle in back for plenty of muscle to handle those huge tires. A Shimano 27-speed drivetrain offers plenty of gears and Tektro mechanical disc brakes keep you out of trouble. TOP TUBE, EFFECTIVE IN. 23.1" 23.7" 24.3" 24.9"